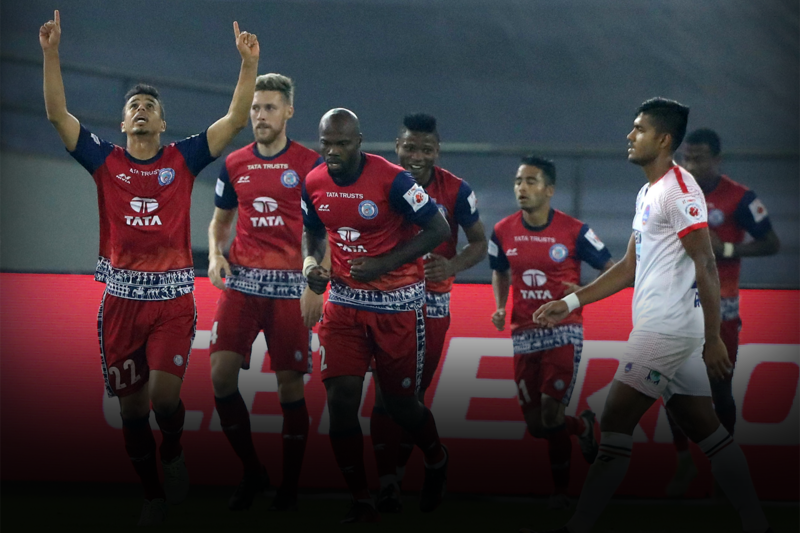 Jamshedpur FC got their first win of the Indian Super League against an uninspiring Delhi Dynamos forcing the capital franchise to sit in the second place from the bottom. Here are three things we learned. Last season, Steve Coppell’s Kerala Blasters side that went on to feature in the final, relied heavily on its defensive organisation and solidity. When Coppell decided to take over the reins at Jamshedpur FC, the same was expected for the new boys. Sure enough, after four matches, Coppell’s team is yet to concede a goal and has finally registered its first win in the Indian Super League after a disciplined 1-0 win at the Jawaharlal Nehru Stadium. He has built his team around some strong defensive personnel and with Andre Bikey and Tiri leading (from the front) at the back! Despite Miguel Angel Portugal’s side showing some flair during the game, especially with good passing, Dynamos were unable to be clinical in front of goal. Credit to Coppell for organising his defence superbly. Delhi couldn’t trouble the Jamshedpur backline despite having 65% possession at the end of the game. The likes of Lallianzuala Chhangte, who was missed in the last match, Guyon Fernandez and Jeroen Lumu, weren’t able to provide anything special that could get a victory for the home team. Throughout the game, Delhi just mustered two shots on target, illustrating the problem. Portugal admitted that his side lacked efficiency when he said, “We couldn’t score goals because of the opponent. I try playing football, I try motivating my players. But it is difficult for us to finish our chances in the box. I like attacking football, but my team has not been attacking well in the last three matches. We had more possession but no efficiency”. It might still be early days, with just four games played, but the capital franchise looks devoid of confidence after three straight losses. What is worrying is that there seems to be no creative spark in the side at the moment and despite trying all evening, they never genuinely looked like they were good enough to come back in the game and get a win. Delhi have been missing midfielder Matias Mirabaje and defender Sena Ralte due to injuries, and perhaps the two will be able to make a difference after they return to action. The advantage of having a longer Indian Super League this time is that it allows the teams and the coaches to shuffle things around and try something different on the pitch to extract results. Delhi’s next game (against FC Goa) is ten days away, which might be a blessing for Portugal as he desperately needs to find ways to figure out the way forward for his lacklustre looking team.